As the person with the CIO job, the rest of the company generally turns to you in order to get direction on how the company should move forward. They want you to make recommendations on what technologies should be adopted, what software packages should be implemented, and when servers should be upgraded. This is all well and good, but just exactly how are you supposed to be coming up with these answers? It turns out that if you take the time to observe how other firms are using new technologies, then you may be able to find the answers that your firm is looking for. One place that CIOs can look for inspiration is hospitals. Hospitals are complex organizations that have to serve their customers quickly and accurately – the same requirements that most businesses are facing. Nowhere is this more clearly seen than in the emergency room at a modern hospital. Since anyone can show up at an emergency room at any time of the day and the hospital is required to provide them with service, this is one area that a hospital is always searching for ways to innovate. As you might well imagine, at just about every hospital the emergency room always seems to have too many customers. 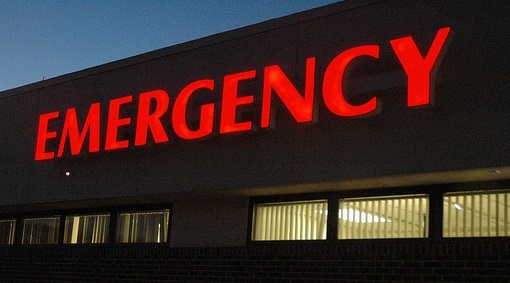 As an emergency room fills up, patient wait times start to increase and if someone is suffering from a serious injury this can prove to be very traumatic. That’s why the goal of every hospital is to find ways to reduce the amount of time a patient waits in the emergency room. The hospital wants to get patients who have non-urgent injuries in and out of the emergency room as quickly and efficiently as possible. The goal is to accomplish this without compromising the quality of care that is provided to these patients. The number one complaint of patients who have had to use an emergency room has always been the same thing: wait times. Every trip to the emergency room starts the same way: a person shows up at the emergency room and nurse screens them in order to find out what’s wrong with them. If you are seriously hurt, then you will be sent to the emergency room. It’s how the hospitals choose to deal with the less seriously hurt people that may hold a learning experience for CIOs. In some modern hospitals, patients who are suffering from less serious injuries are given the option of using the hospital’s tele-medicine option. When this option is used, the patient is connected to the doctor via a teleconferencing system. The doctor has the ability to order prescriptions and print out discharge papers. The net result of implementing these systems has been to reduce the amount of time that a patient spends in the emergency room. The time spent has dropped from an average of 2 to 2.5 hours down to 35 to 40 minutes. In the U.S. last year, over 20 million people received medical care via tele-medicine last year. This number is expected to grow in the next year by at least 15%. Doctors are now able to treat patients from more than one hospital from a single location. They are also able to better complete administrative tasks at their desk in between seeing patients. Tele-medicine is a great solution for serving patients who are in remote locations and tech-savvy patients who are in a rush. One hospital in New York City has served over 1,700 patients using tele-medicine. Since you are in the CIO position, you need to be able to accurately look into the future and determine what changes will be coming to your company. As you might well imagine, this can be very hard to do accurately. One way to boost your odds of getting this correct is to take a look at what other operations are doing. One excellent example is hospitals. Hospitals have a challenge in how they service their customers who arrive via the emergency room. The complaint that customers always have about the emergency room is that the wait is too long. One way to go about reducing this wait is for hospitals to implement tele-medicine programs. These allow a doctor in one location to service patients via a teleconferencing system who are located in multiple other locations. This has resulted in a decrease in the waiting times experienced by patients. As CIOs, we’d like to find ways that our company could get more value out of the employees that they have. The example of how to use tele-conferencing to allow access to critical employees that hospitals have created should serve as an example for all of us. Perhaps we too should be implementing a way that our employees with critical questions can get serviced by the company faster! Question For You: Who in your company do you think should play the role that a doctor plays at a hospital? The person with the CIO job has a lot of responsibility on his or her shoulders. They have to understand the importance of information technology and keep the company’s IT systems up and running while at the same time keeping one eye on the future in order to determine what is coming their way. However, they also have other responsibilities. These include picking the right people to run the IT department. This is a big responsibility that the person in the CIO position takes very seriously. This leads, of course, to the question as to why they seem to do a bad job of it so often?